Brain Injury Attorney Fort Lauderdale, traumatic brain injury lawyers. Traumatic brain injuries are among the most potentially life-changing injuries that a person can experience. The physical trauma of a head injury can be devastating, and if you are denied financial compensation from the negligent party, you may find it difficult to support yourself and your family. 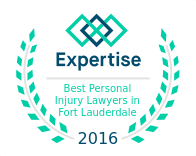 Fortunately, every experienced Fort Lauderdale personal injury attorney at Winston Law Firm are prepared to help you with your case. Our lawyers are devoted to helping the victims of traumatic brain injuries take action against those responsible for the accident. 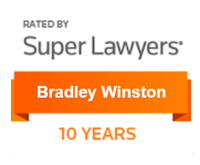 Contact the office of Winston Law Firm at (954) 475-9666 to discuss your case with a member of our legal team today. Brain injuries can have a lasting impact on your personal life and may affect your ability to work and support yourself and your family. If you have been injured due to someone else’s negligence, you may not have to deal with the financial and emotional stress alone. For more information about your legal options, contact an experienced attorney today.